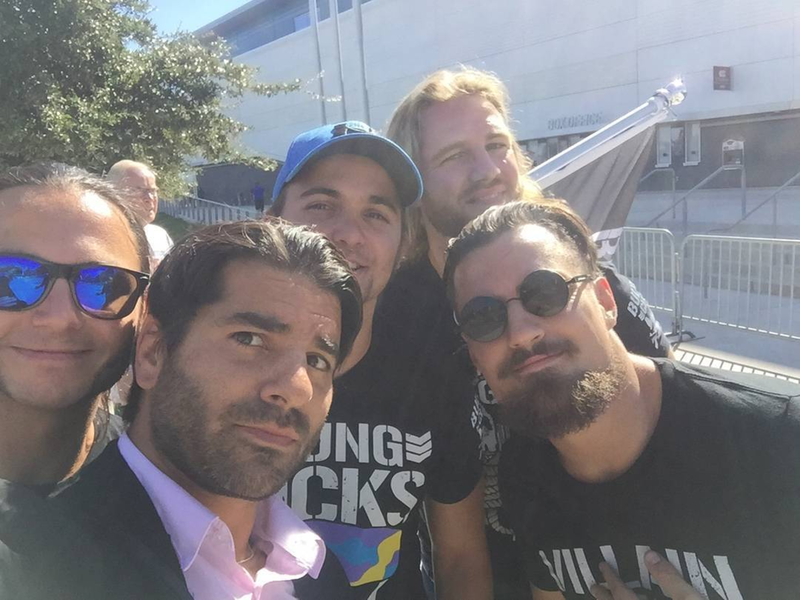 Jimmy Jacobs, who had been a writer with WWE, is no longer with the company. Pro Wrestling Sheet reported the news earlier today and we were able to confirm it with multiple sources. The reason behind Jacobs being let go was that he posted a photo on Instagram taken at the Raw show in Ontario, California with The Young Bucks, Adam Page, and Marty Scurll. This came when the Bullet Club was doing a mock invasion of Raw for their "Being the Elite" YouTube show. Jacobs captioned the photo with, "Pleasant surprise to see old friends in lovely California. #BCInvasion #RAW #youngbucks #bulletclub #villian #hangmanpage #WWE"
Several WWE wrestlers had actually appeared on Being the Elite in recent times, including Kevin Owens, Sami Zayn, and AJ Styles making cameo appearances on an episode that was released in August, but the situation clearly changed when the reaction to the mock invasion wasn't taken well by WWE.